Is it time to renovate your garden? Are you stuck for landscaping ideas? For the most inspiring landscape design ideas Poole has seen, look no further than Bamboo Landscapes. We can come up with the perfect landscape garden design that is specifically tailored to suit your personal taste. A bespoke landscape design can help you make the most of your garden in Poole. When you employ the services of Bamboo Landscapes, we will take the time to discuss how you intend to use your garden and how you imagine it to look. From here, we can come up with some personalised landscape design ideas in Poole for your property. We will never begin any renovation work until the concept designs have been approved by you personally. If your garden is bland, overgrown, and generally in need of an overhaul, we have the skills and experience to build your dream garden from scratch. As we specialise in both hard and soft landscaping, we can come up with Poole landscape design ideas that incorporate the two of these aspects. For each, area of landscaping, we offer customers in Poole a wide range of design ideas, colours, and themes to choose from. Fill your garden with our soft landscape design ideas Poole to make it full of life and colour. We can supply and plant a vast array of greenery including flowers, trees, shrubs, and other vegetation. These soft landscaping materials are semi-permanent, so they can be changed from season to season or from one year to the next should you choose. Lawns and shrubs are a popular choice, but why not opt for a raised flower bed if you’re looking for something different? By using solid materials such as stone, wood, and brick, we can create the permanent outline of your garden, also known as hard landscaping. 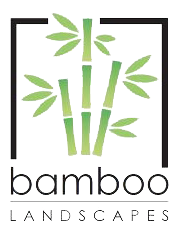 At Bamboo Landscapes, we only source the finest materials on the market for a durable and attractive finish. Our professional hard landscaping services include patios, driveways, fencing and decking, so we can fulfil all of your landscape design ideas in Poole. To find out more about our comprehensive landscaping service, click here. Why choose our landscape design service in Poole? At Bamboo Landscapes, all areas of your new garden design will be taken care of. Our methodical way of working means that we will start at the edges with the permanent landscaping, and fill in the rest with the freshest plants and greenery. With this level of efficiency, your newly transformed garden will be finished in good time. Our Poole landscapers take care to ensure that we cause the least possible disruption to your days when producing your Poole landscape design ideas. Our landscape design ideas Poole team have an unrivalled eye for detail and pride ourselves on making the most of every corner of your garden. Whether you want a minimal, paved garden to entertain guests, or a floral paradise, our expert landscapers will make it a reality. We only use the best quality materials we can find to create a lush and vibrant outdoor space for you to enjoy all year round. We can redesign both back and front gardens no matter how big or small they may be. With every job, we make sure that the land is well-prepared and that all materials are installed or planted to the highest standard. If you require any professional advice on how best to keep your new landscape design ideas in Poole looking great in the long term. To see some of the Poole landscape design ideas we have come up with for previous clients, take a look at our gallery. Immerse yourself in some of the best landscape design ideas Poole has to offer by calling Bamboo Landscapes on 01202 805 882. Alternatively, send an email to bamboolandscapes@hotmail.co.uk and we will be back in touch soon.